Hey fam! !As you may or may not know I'm a state rep for BABC (bikers against breast cancer) and I'm looking for some stand up clubs that may be interested in becoming a parent club for BABC...in being a parent to BABC we ask that you donate $300 a year,we give you a plaque,your club info goes on our website,brochures etc. I would appreciate it if your club would consider. My personal goal is to get at least 10 clubs to become parents:) BABC also has 501c3 so you can write off on taxes. If you know anyone who is living with any form of cancer and may be in need of help please direct them to our website to get application for mini grant. Mini grants are issued up to $300 and go directly toward bill of patients choice. To learn more about BABC or donate please visit our website. Recently many of our brothers and sisters were stopped by TEXAS police under the ruse of being a "Safety Check". Can we say "PROFILING"? Many people contacted me regarding this unconstitutional act. All of our rights as bikers are being threatened. Every Motorcycle Rights Organization (MRO) is united in supporting this Call To Action. I know that it is time for this community to stand for something or as a great leader once said "fall for anything". If you can't actively get involved appoint someone as a representative so that we can all address this. All Pres., V.P. 'S, PRO's, Independents etc. should be leading the charge against this activity. Let's teach our newer bikers that you will get what you tolerate and we are much better than this. Can we count on you and yours to stand for more than just the next party? PLEASE read the following email. Subject: Call to Action! ALL STATES, EVERY USD UNIT is needed to participate....CALL to ACTION!!!!! There has been a resolution drafted by our friends from the north, Rep.
being conducted right now in Oklahoma. H.R. 1498 Sensenbrenner on this issue, and do it today! 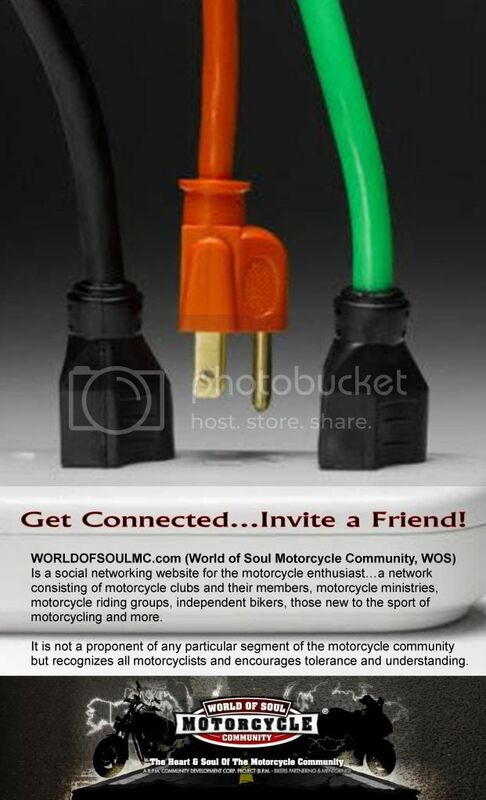 It saddens me to say that the following people are no longer members of Down 2 Ride MC NoSweat,WC, SetItOff, Redhott, P6(Deana), Judah, Diva, Jucee, Babyface, Spydah, and Blaq Widow, We all wish Down 2 Ride MC the best. Much luv 2 all the clubs in riders in Kentucky!! HeaVHitter$ MC is kicking off our Christmas Cabaret for kids!!! If you truly have it in your heart to make a difference for families in need this is one event you truly should take part in. Our Christmas Cabaret is on Saturday, December 12, 2009 and is going down at Local 761 IUE G.E Union Hall from 9 pm to 2 am....the admission is a toy up to $20 or $10 to attend...all proceeds go to families for the Holidays!!! We are asking clubs to donate children's bikes of all sizes...your choice and toys for kids of all ages!!! We now have members from Radcliff...Lexington and Louisville and will be delivering toys across the regions to families truly in need!! Will you find it in your hearts to support us in this worth while mission!!! Come out and make a difference in someone elses life!!! Much luv!!! JThunda, Prez HeaVHitter$ MC Louisville Chapter! !